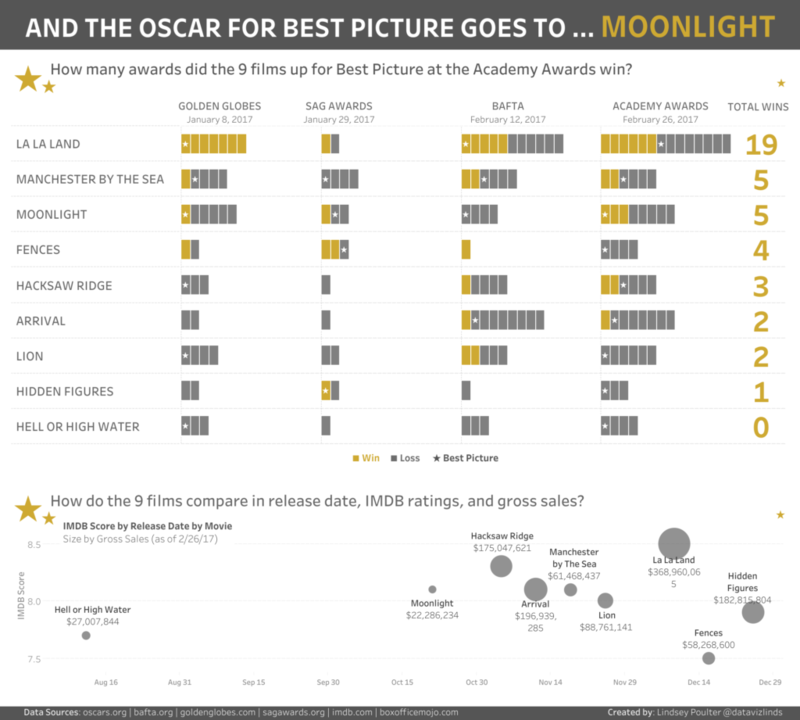 Every year I make an effort to see all the movies nominated for Best Picture at the Academy Awards. I then enjoy following the award shows to see if my favorite movie of the year ends up winning (spoiler: it usually doesn’t!). 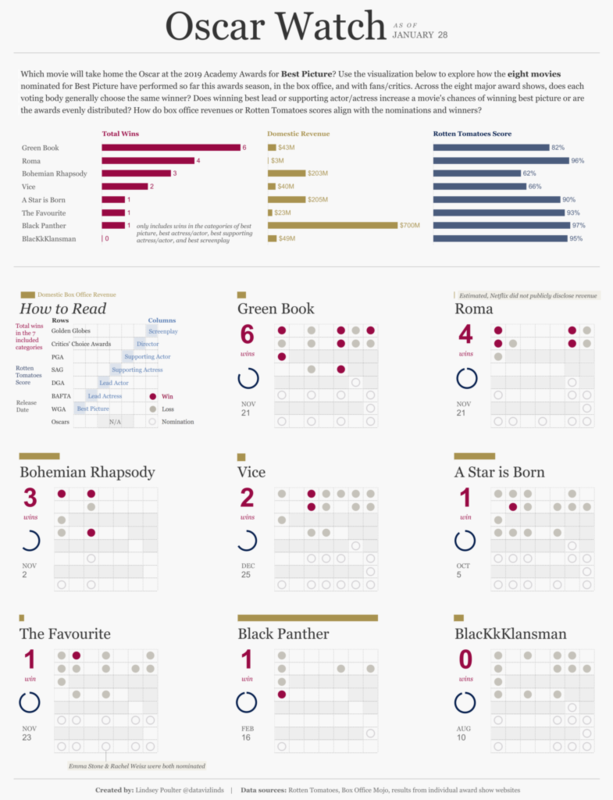 Due to the multitude of award shows and awards, there is no better way to track awards season than a viz!